This brush is large 40mm collar diameter, with natural (soft) boarbristles. Off your knees my child, no longer do you need to pray to the Dodo deity for Wheel Brushes, for your prayers have been answered. Introducing the Dodo Juice Hogs Hair Brush! A lot of people don't realise that all manner of swine would grow illustrious moustaches if humans didn't trim and shave them. So instead of an unkempt look on a pig, we use these hairs to make chemi-resistant and non-scratch wheel brushes. 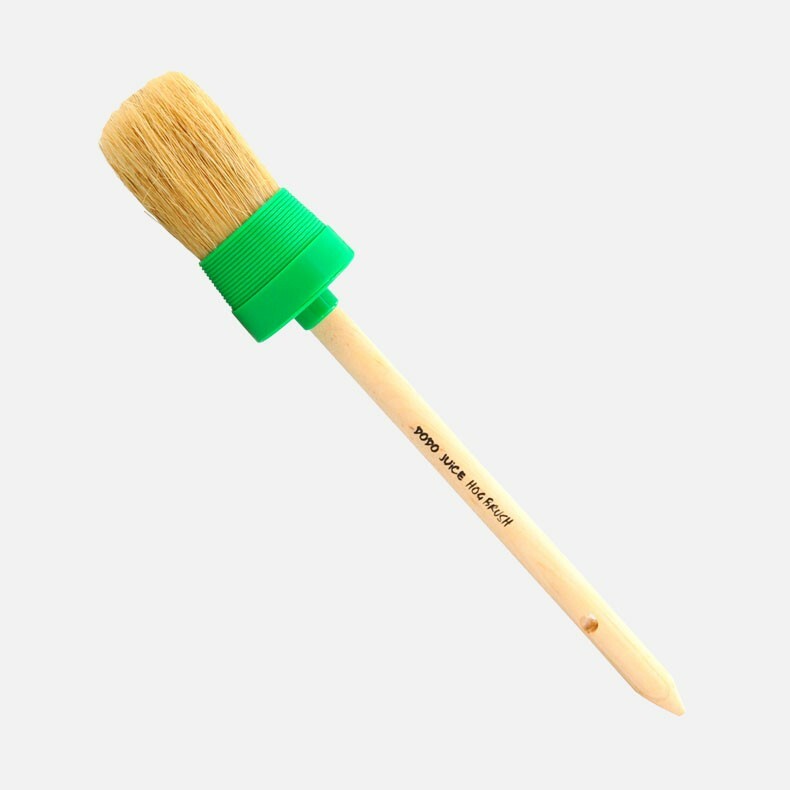 A plastic collar guards against scratches (unlike metal collared brushes), and a comfortable, yet grippy wooden handle makes this brush a delight to use. This brush is large 40mm collar diameter, with natural (soft) boarbristles. Great for wheels or badges, but you've already added it to you basket, so why am I continuing?